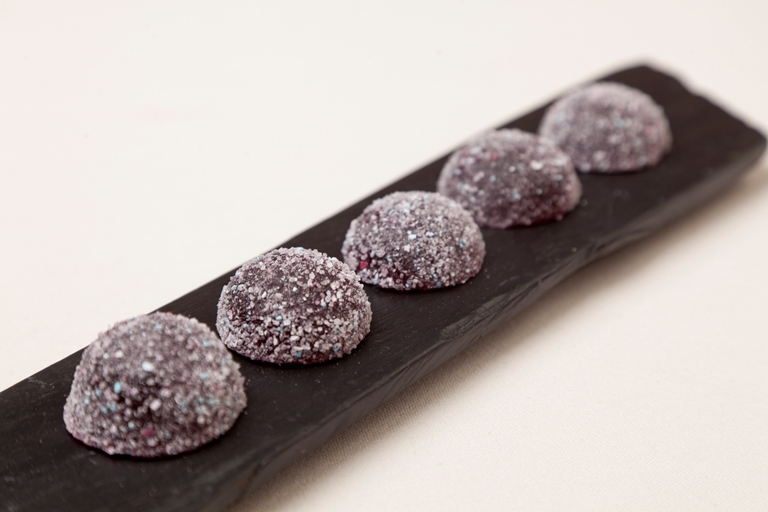 This pastille recipe by David Everitt-Matthias makes a wonderfully inventive petit fours. The blue flecks of colour on the pastilles come from a slightly unusual ingredient - crushed bubblegum millions! These pastilles are shaped by pouring the mix into a sheet of silicone dome moulds, but if you don't have one at home you can always set the jellies in a tray before cutting into shapes of your choice.